The irony that a public pool is named after a sitting Prime Minister that disappeared, feared drowned, is not lost on any Melburnian. The Harold Holt Memorial Swim Centre was constructed in the 1960s and is one of the best examples of brutalist architecture in Melbourne. The centre has a variety of indoor and outdoor swimming areas, but one area to the south of the main outdoor pool is the iconic three storey diving tower, which has been closed since 2003. “The diving facility at ‘Harold Holt’ closed in 2003 and we’re regularly asked if it can be reopened,” said City of Stonnington Mayor, Cr Steve Stefanopoulos. The diving tower and pool are both on the Victorian Heritage Register and will enter a phase where members of the local community can have their say on the current proposal before works begin. The council has worked with the original architects of the centre in developing the restoration plans. 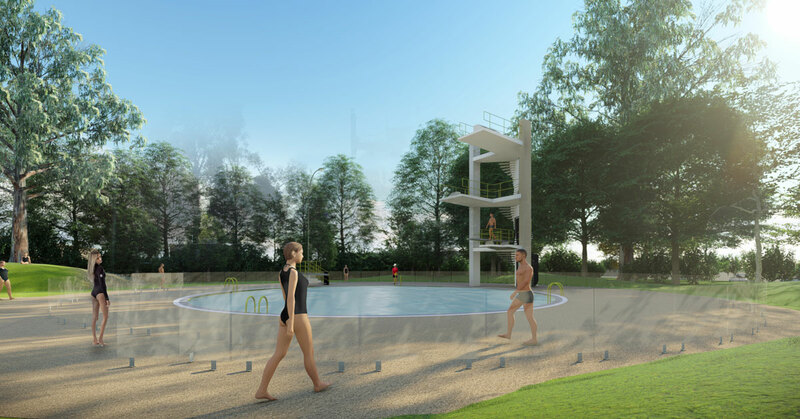 Proposed works involve a renovated diving pool, the diving tower restored with 3-metre springboard, a new 1-metre springboard, new glass security fence and gates around the diving pool, restored pool surrounds, and a new landscaped lawn area behind the tower. To have your say and read more about the proposed plans, head here. For a full rundown on Melbourne's best swimming pools, check out our list.